Next tour: No more public dates yet. Meet: Visitor Centre, Piccadilly Gardens. Bring: An open mind and an endless font of curiosity. Calling all history and politics teachers. Book privately: this walk is ideal for your “A” Level students! For more details, contact New Manchester Walks. 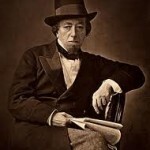 Benjamin Disraeli: 19th century prime minister and celebrated author. Ah yes, the days when the most powerful politicians, unlike Tony Blair and Neil Kinnock, could segue words into sentences that shook and stirred the soul rather than mangled the English language. Benjamin Disraeli, promoter of “One Nation” Toryism, came to Manchester on many occasions, once speaking at a literary soiree held for the Athenaeum (now the City Art Gallery extension) at the Free Trade Hall. Statue in Manchester city centre: none. 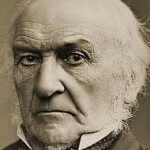 William Gladstone: A towering presence and, like Disraeli, prime minister under Queen Victoria. Statues in Manchester city centre: three. There’s one in Albert Square, where he looks like he’s trying to hail a cab; one in the Town Hall Sculpture Hall cafe; and one in the Town Hall’s Great Hall. Honoured so for being the most powerful advocate of two issues crucial to Manchester’s development: free trade, on which Manchester, rightly or wrongly, made its wealth; and reform: the art of gently increasing the people’s political rights, through argument and legislation, rather than revolution and violence, in the manner that has shaped local politics since Peterloo. 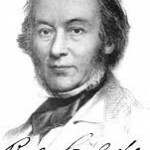 Richard Cobden: the second greatest political figure in Manchester history (after Sylvia Pankhurst), a man of unimpeachable morals, vociferous opponent internationally of slavery, nationally of the unjust repressive Corn Laws, and locally of Manchester’s moribund feudal local government system. Richard Cobden served on Manchester’s first council in 1838 and led the fight to scrap the Corn Laws, which he achieved in 1846. He was Rochdale’s MP when he died on 2 April 1865, a week before the Confederate surrender that signalled the end of the American Civil War (a conflict that broke his heart) and only 12 days before Abraham Lincoln was assassinated. Statue in Manchester city centre: one, and in the wrong place, in St Ann’s Square. It should be in Piccadilly station or in Albert Square or both. All three helped shape modern Manchester, and their resonance can still be felt today, while their haunts can be visited on this walking tour of the city centre. • Disraeli and Gladstone hated each other. Disraeli described his rival as “that unprincipled maniac”, and Gladstone once explained how the Tory party “had principles by which it would and did stand for bad and for good. All this Dizzy destroyed”.